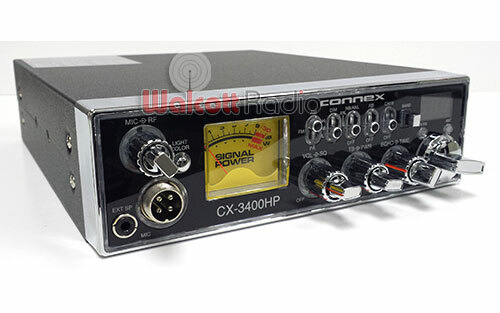 Introducing the amazing looking new Connex CX 3400HP Radio! 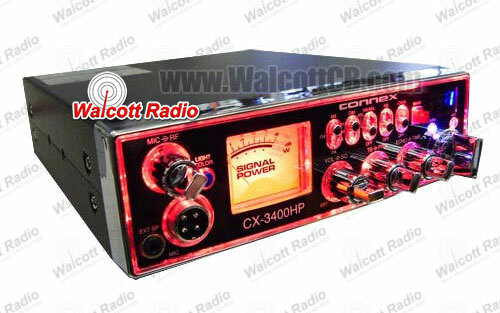 Bearing striking similarities to the Stryker series of 10 meter radios, this new Connex mobile amateur radio offers a microprocessor controlled LED faceplate back-lighting with FIVE option colors (red, blue, green, purple and Cyan (light blue). 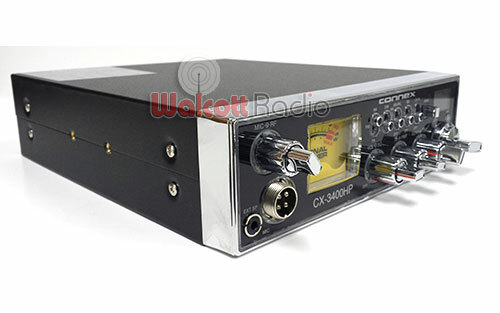 Another innovative feature is the front mounted external speaker jack (as well as a secondary standard rear speaker jack), perfect if the mobile amateur radio is mounted in a cubby where the back input isn't easily accessible. 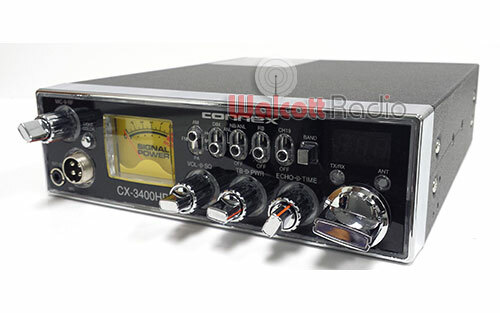 As with all Connex radios, the CX3400 includes the ever popular Connex Board echo as well as talkback. 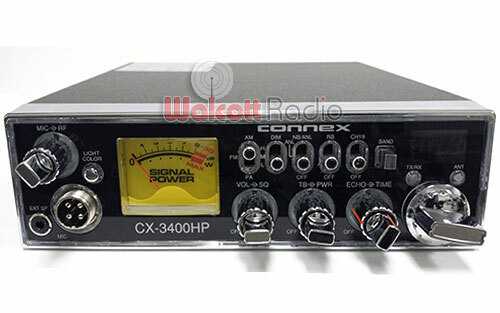 Continuing with the uniqueness in design, the Connex CX 3400HP displays the band letter in the channel display, making it very easy to tell what band and channel you're operating on. Other features includes roger beep (with off switch! 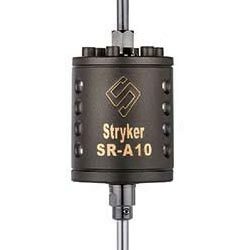 ), variable RF power dial-a-watt potentiometer, SWR warning indicator and a hi/lo display light switch that, when set to night mode actually is usable at night without being overly bright. Be one of the first to own this newest iteration from Connex! 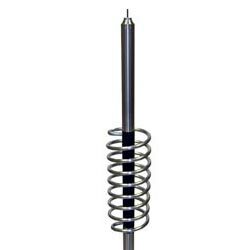 Due to uncertainties of your antenna system. 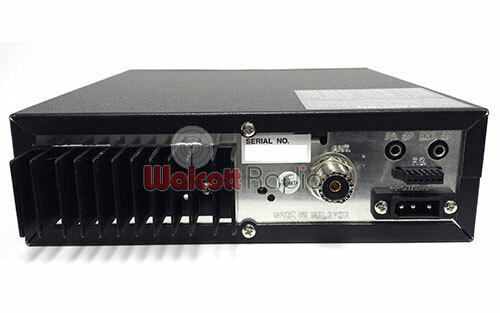 Output transistors (finals) are not covered under our warranty. With the dim control set to low, the lights are actually dim! Night mode means the radio will not distract you at night. 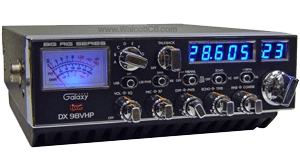 Protects the radio against high SWR by alerting you to problems. Quickly jump between channel 19 and any other channel of your choosing. 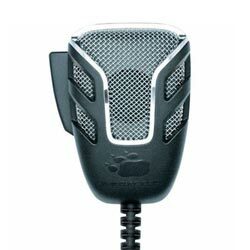 With a speaker jack on both the front and the back of the radio, you'll have no problems getting an external speaker plugged in. Makes installation in a cubby easy and quick.